“We’re becoming like Europe.” This expression captures many Americans’ sense that something has changed in American economic life since the Great Recession’s onset in 2008: that an economy once characterized by commitments to economic liberty, rule of law, limited government, and personal responsibility has drifted in a distinctly “European” direction. Samuel Gregg is director of research at the Acton Institute. 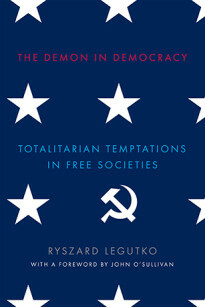 He is the author of many books, including On Ordered Liberty (2003), his prize-winning The Commercial Society (2007), and Wilhelm Röpke’s Political Economy (2010). The long-simmering crises challenging the European Union have worsened with the 2008 financial crisis, the influx of Middle East refugees in 2015, several bloody terrorist attacks, and England’s departure from the E.U. in 2016. Yet these are all the wages of persistent flaws in the idea of the Union itself.